I started riding when I was 12 years old beginning in Western but then I moved to English. I started showing on the A circuit when I was 13 with 3 time world champion hunter rider Peter Pletcher. Over the next few years he taught me the swing of the hunter world and helped me earn numerous top championships and placings all over the country, such as Indoors, Kentucky, Michigan, Texas, and Florida. I then began to do jumpers when I was almost 17 and over the next few months went from .80 to the 1.35s. I then wanted to go bigger in the horse community and learn more and understand the work side of the industry. This is when I moved to Germany to go ride, work, and train with Olympic and European champions, Paul Schockemohle, Frankee Sloothack and their team. There I spent 5 months learning everything I could riding from sun up to sundown everyday. 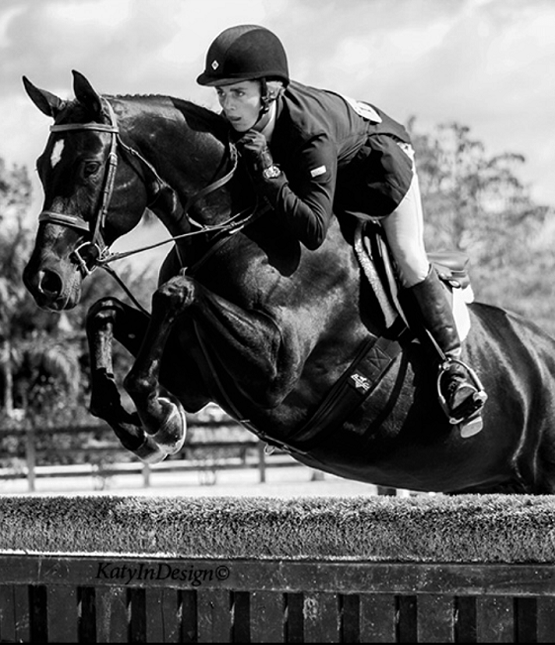 I now work in Wellington Florida for Alan Korotkin where my equitation career has now begun. I for the most part now just catch ride horses for various people at shows across the country on a weekly basis. From the age of 14 I have bought and sold horses in order to pay for myself and my riding. I am now showing in the eq,hunters, and 1.40 jumpers.